The VM6 xStream Deep Swim Spa by Vita Spas has been designed to be an extra deep and long swim spa for an unrivalled swimming space. 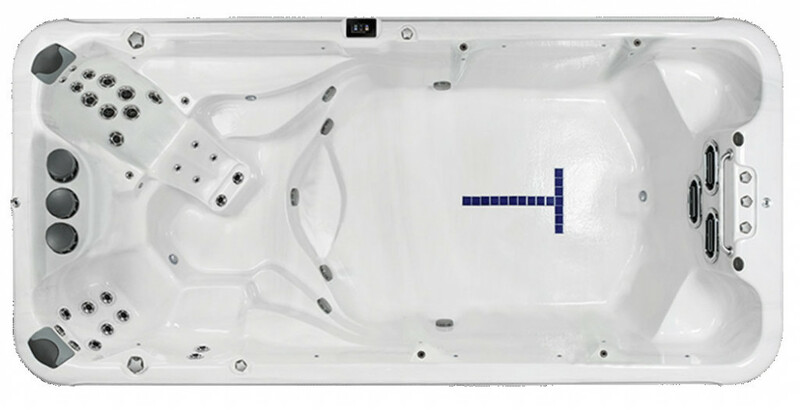 At 155cm high this is one of the deepest swim spas available. The xStream Force river jet propulsion system gives a smooth, deep and wide swimming lane with anti-turbulence technology. What we love about the VM6 – it simply has to be the swimming area. The creators really took into account the need for a deep swim spa, and by putting an extra river swim jet slightly lower down you won’t lose the powerful current these swim spas are known for. The new xStream Force river jet propulsion system uses proprietary ‘anti-turbulence’ technology to boost and smooth the swim stream for the ultimate swimming and water exercise experience. Anti-turbulence technology creates a powerful, smooth, variable jet stream that is completely adjustable and designed to allow you to swim at your individual fitness level. Add in our aquatic exercise kit for a full body workout!